Our goal here at Southeast Engineeers is to save you time and money by delivering timely, efficient response to your needs. Our residentials clients enjoy the cost-effective, sound designs that we provide. Our commercial clients enjoy the quick delivery time to move their projects forward. RCI has worked with Southeast Engineers on multiple projects over the past 4 years. In every instance Southeast Engineers has turned over practical, well thought out designs in a very acceptable time frame within cost effective price points. They have a professional and timely staff that understands the aquatic design world extremely well. - Rotolo Consultants, Inc. It is a pleasure doing business with Southeast Engineers. We have been a long-time business associate of Robert Lee. 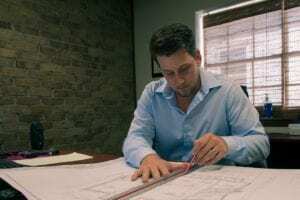 We are a residential custom builder and have been exclusively using post-tension foundations for all of our new homes for about twenty five years now. We have been through three different cable installation companies but Mr. Lee has always been the engineer we have always turned to for our foundation designs. Since his involvement with Southeast Engineers in recent years the service we have received has been as good if not better than it ever was. We have had occasions where we needed a quick turn-around for a foundation design, and have received plans back in as little as two or three days.